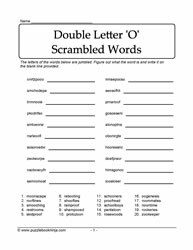 Here are language puzzles by double letter O words. 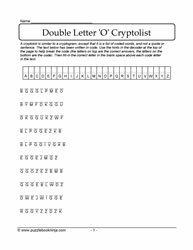 Word search puzzles, scrambled letter and cryptolist puzzles. 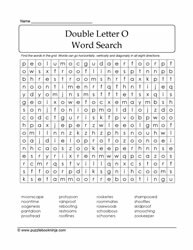 Engage students in middles grades 5,6,7 with these double letter O words puzzles. Double Letter E Words | Double Letter Z Words | Commonly Confused A Words | Figures of Speech.